Vitarka mudra is a symbolic, ritualistic hand gesture used in yoga, Buddhism and Hinduism. In addition to their symbolic nature, mudras are also used in yoga and meditation to control the flow of energy in the body and unblock the chakras. Although hand mudras are the most commonly used in yoga, there are also head, postural, lock and perineal mudras. 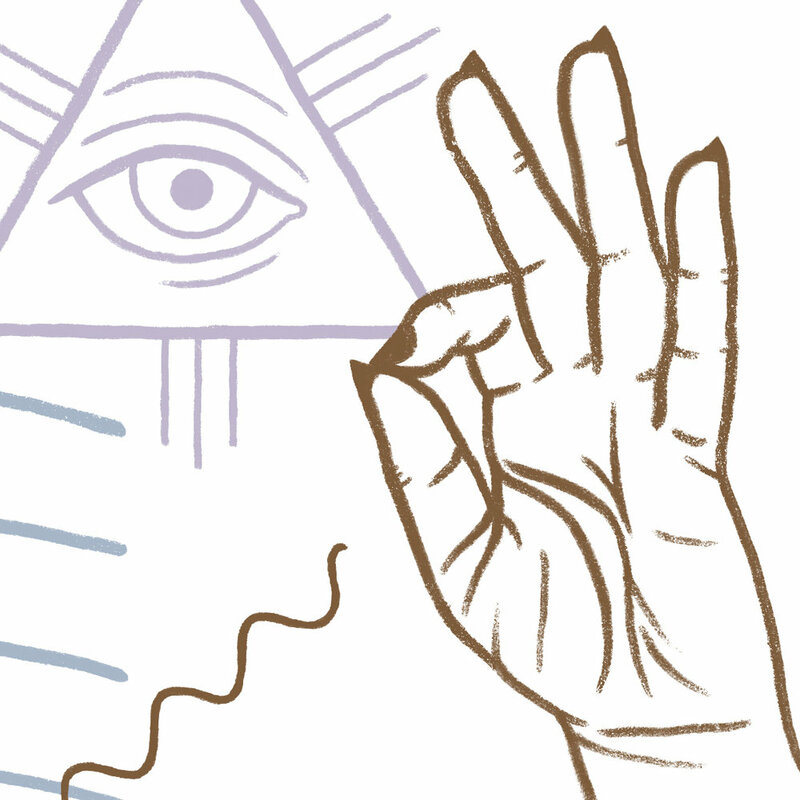 In Vitarka mudra, the circle formed by the index finger and thumb symbolises the flow of information and energy. This mudra is most often associated with the Buddha and represents the transmission of his wisdom. It is therefore frequently used to explain and unpack Buddhist teachings. Additionally, it is a common hand gesture used in Buddha statuary, particularly in those of the Dvāravatī ages in Thailand. To perform Vitarka mudra, the tip of the index finger and thumb touch while the other fingers extend toward the sky. The hand with the tips of the thumb and index finger joined together is held closer to the chest than in Abhaya mudra for instance, while the palm faces outward, away from the body. There are variations of this mudra. Historically, only the right hand displayed the mudra, but today it is often practiced with both hands. Sometimes the thumb and middle finger touch, symbolising compassion, or the thumb and ring finger touch, to invoke good fortune. Another version of Vitarka mudra asks the practitioner to rest the left hand palm up in their lap while the right hand is raised to shoulder level with the thumb and index finger touching. This mudra and its many variants is still in continuous use in regions where Mahayana Buddhism is prominent, specifically in East Asian countries. In Tibet, Vitarka mudra is often taken as the mystic gesture of Taras and Bodhisattvas with some variations by the deities in Yab-Yum. There, it is also referred to as Prajnalinganabhinaya or Vyakhyana mudra (the mudra of explanation).